Description: Hardcover with dust jacket 191 pages. Condition: Previous owner's name and date in ink on the front free page. Previous owner's name and initials embossed on the title page. Otherwise the book looks unread. 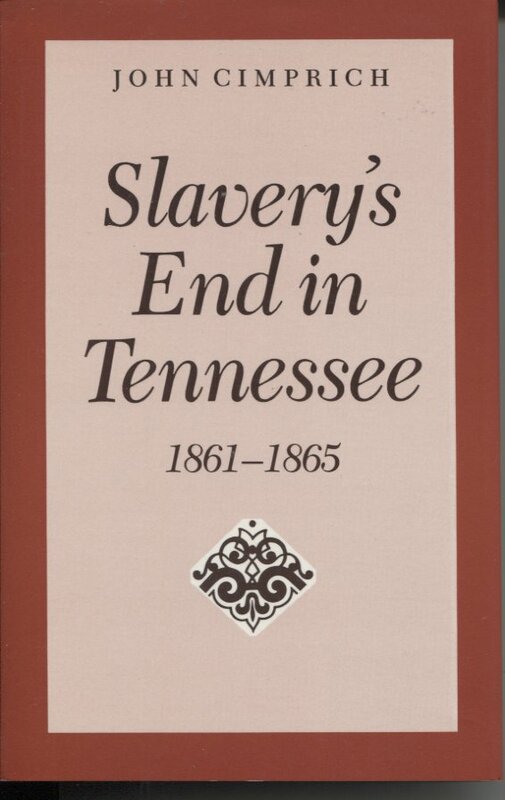 This is the first book-length work on wartime race relations in Tennessee, and it stresses the differences within the slave community as well as Military Governor Andrew Johnson’s role in emancipation. In Tennessee a significant number of slaves took advantage of the disruptions resulting from federal invasion to escape servitude and to seek privileges enjoyed by whites. Some rushed into theses changes, believing God had ordained them; others acted simply from a willingness to seize any opportunity for improving their lot. Both groups felt a sense of dignity that their slaves initiated a change; they lacked the power and resources to secure and expand the gains they made on their own. Because most disloyal slaves supported the Union while most white Tennesseans did not, the federal army eventually decided to encourage and capitalize upon slave discontent. Idealistic Northern reformers simultaneously worked to establish new opportunities for Southern blacks. The reformers’ paternalistic attitudes and the army’s concern with military expediency limited the aid they extended to blacks. Black poverty, white greed, and white racial prejudice severely restricted change, particularly in the former slaves’ economic position. The more significant changes took the form of new social privileges for the freedmen: familial security, educational opportunities, and religious independence. Masters had occasionally granted these benefits to some slaves, but what the disloyal slaves wanted and won was the formalization of these privileges for all blacks in the state. Illustrated with maps. Indexed.